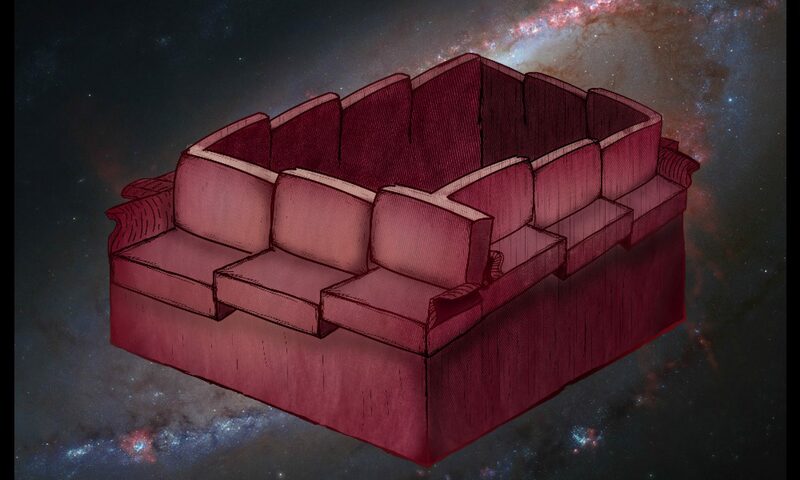 For the first post of this new, reinvigorated Non-Euclidean sofa, I’d like to introduce myself. However, wanting to do something and actually doing it are completely different things. I’d like to introduce myself, but I’m not going to do that. The internet–where I live with neighbors like you–is terrifying to me, and I’d rather not be tracked down and meme-d to death. So instead of introducing myself, I’m going to introduce this blog and everything that’ll be on it. Or, that’s what I would do if I had planned this out at all. I don’t really know what’s going to be on here. Golly, I feel like a teenager trying to decide which drug to try first: they all look so good, but you only get one first time. In summary, I didn’t introduce myself; I didn’t introduce the blog very well, and welcome to it. ’bout time . . .
Psh, like I could stay away for long. I’ve just been busy running through a series of intense training montages: blogging in the rain, in various sweatshirts, up a mountain. You know how it goes.